This new expansion offers players a completely new storyline to delve into as they travel to Thebes to investigate an ancient curse that is plaguing the region. On the back-end, this second DLC expansion will bump the level cap up once more to 55 and introduce new outfits and gear inspired by Egyptian mythology. A new, free title update for Assassin's Creed Origins is available today ahead of the DLC's release. 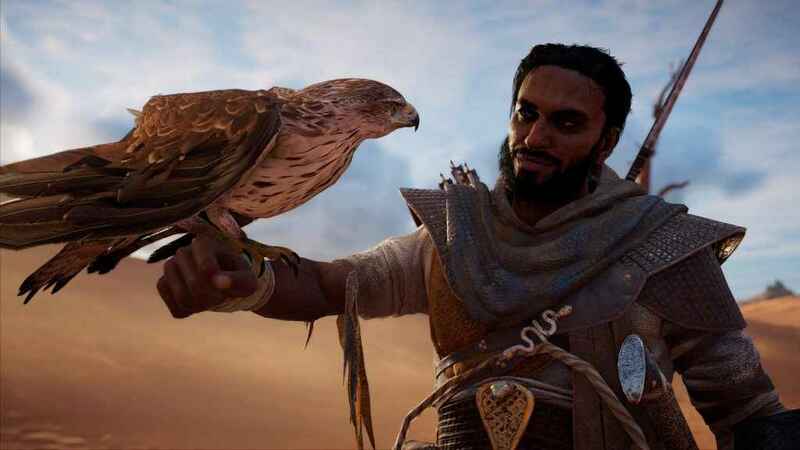 We've known that The Hidden Ones would be heading to Assassin's Creed Origins - which will be the title's first piece of DLC that expands the story - Ubisoft have now confirmed that it will drop on January 23, 2018 and also confirmed the DLC that will follow its launch. Egypt is a big country, and Assassin's Creed Origins, a game set in the middle of its shifting sands, is a suitably big game. Players will take on iconic pharaohs of the past as well as Egyptian beasts. If you don't have a season's pass for Assassin's Creed Origins, you can buy the DLC separately for $9.99 on January 23, 2018. While both expansions sound great, a new free update for all players will be coming on February 20th and is the one that really caught my eye. According to Ubisoft, The Hidden Ones DLC will increase the games level cap to 45, allowing players to continue upgrading and customizing their character. Here, the storyline and quests will not be not active. Following that DLC, the second instance of extra content called The Curse of the Pharaohs is scheduled to be released in a few months on March 6. The first quest in the expansion, Incoming Threat, will be available to all players but it's not clear yet whether it takes place in the existing regions or the two new areas. In the Deluxe Edition ($69.99), gamers will receive the base game, a printed version of the hand-drawn world map, the game's official soundtrack and the Digital Deluxe Pack, including the Ambush at Sea naval mission, the Desert Cobra Pack and three bonus Ability points. You can free roam throughout Ancient Egypt at your leisure. MEANINGFUL QUESTS Play intense stories with impactful objectives at your own pace. "President Donald Trump is absolutely right. Africa is a continent of sh*t".